What’s all the fuss about Roscoe? Lewis Hamilton has a dog. Gasp. Such drama. How supremely irresponsible. The rest of his life is so sensible, it’s appalling that he would do something as risky as keep a dog as a pet. At least that’s what some of the world’s media would have us believe. 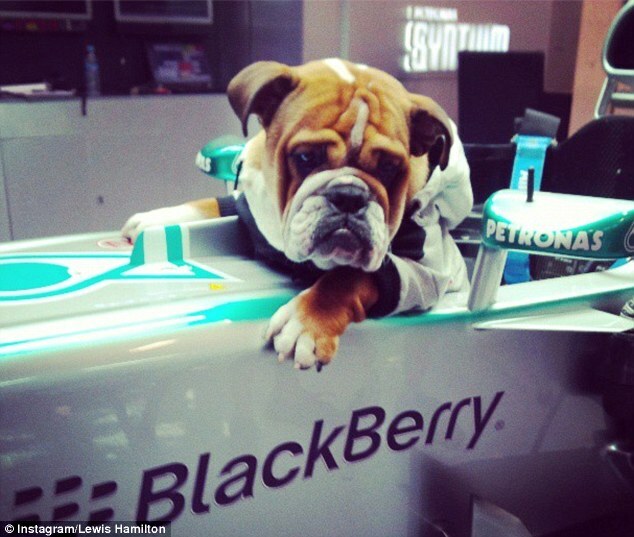 Hamilton’s bulldog, Roscoe, has become a feature of the F1 paddock this season. It’s been considered newsworthy that a dog could receive a paddock pass from Bernie Ecclestone – such is the general public’s apparent appetite for meaningless column inches. Watson claims to know an awful lot about being a successful F1 driver, but in this context it is worth comparing his F1 record to that of Lewis Hamilton. Watson won 5 out of his 154 races and finished a career-best 3rd in the 1982 World Championship for McLaren. Hamilton has won 21 out of his 116 races thus far and won the World Championship in 2008 at just his second attempt. If either man is to take advice from the other on how to be successful in F1, it should be Watson who gets the lecture. Who cares that Hamilton has a dog at the track? And frankly, what difference does it make? Having a dog at the track is to Hamilton much the same as having plants and photos in an office is to an accountant. He’s just making himself more comfortable in his working environment. With all the completely unnecessary press coverage of his pet, Hamilton has reason to be secretly satisfied. There is clearly nothing much to write about in his personal life, and that is invariably a good thing for a professional sportsman.